Are you prepared for cyber attacks? exSILentia Cyber provides the means to help companies to move from cyber illiterate to cyber experts. Kickstart your pragmatic approach to industrial control system cybersecurity by performing comprehensive analysis using exSILentia® Cyber. 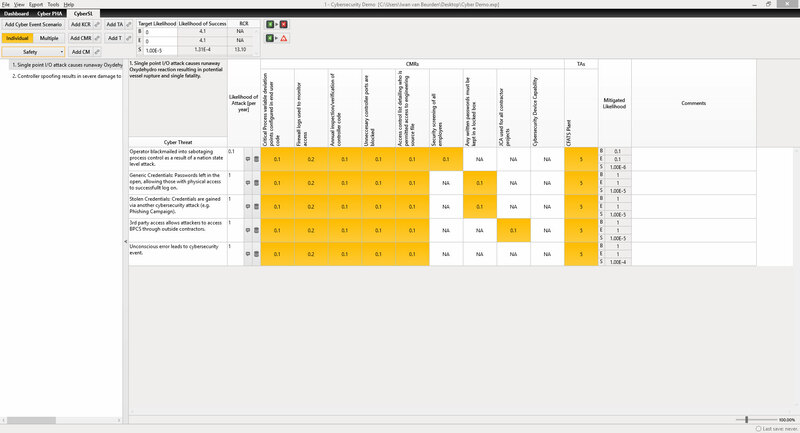 The CyberPHAx™ Cyber Risk Assessment tool guides users through High-Level and Detailed Cyber Risk Assessment process, effectively focusing the user on the task at hand, identifying types of cyber-attacks, potentially leading to hazardous events and their associated risks. Once the severity of a potential cyber-attack is understood, existing or planned countermeasures can be documented allowing an estimate of residual risk. The CyberSL™ Security Level Verification tool helps users achieve their target Security Level by determining the initiating cyber event frequency of a cyber event scenario and implementing countermeasures to mitigate the likelihood of a successful cyber-attack. Key information is automatically transferred from the Cyber Risk Assessment. exSILentia Cyber pairs the ease of use and flexibility of a world class tool with a high level of rigor to accurately model all relevant risk factors for optimal security. CyberPHAx guides you through industry leading methodology for vital analysis of potential threats against your industrial control system and captures corporate risk criteria and best practices. 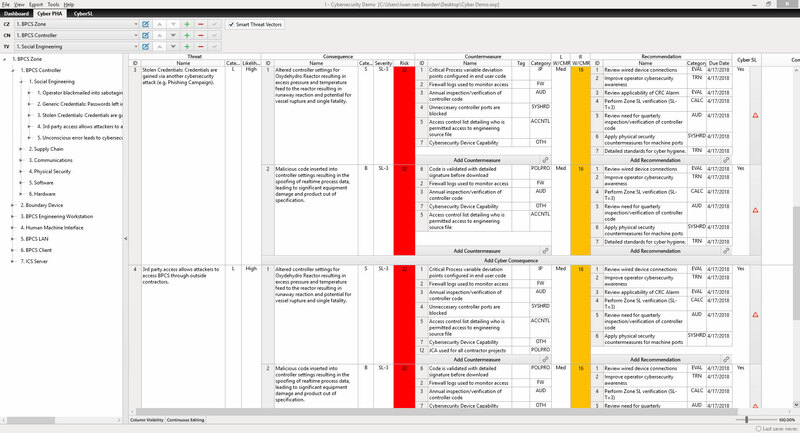 High-Level Cyber Risk Assessment efficiently gives you prioritized list of high risk zones and optimizes allocation of time and resources to best guard against cyber-attacks at lowest cost to serve. Detailed Cyber Risk Assessment is a thorough analysis that maps threat vectors and associated countermeasures to accurately analyze high risk zones, ensuring the security of the control system. CyberSL easily facilitates a one of a kind semi-quantitative verification technique, automatically populating high risk scenarios from your Cyber Risk Assessment and guaranteeing sufficient mitigation against successful cyber-attacks. SL Verification guarantees the effectiveness of countermeasures against high risk cyber event scenarios, demonstrating the value of your cyber security defense strategy.